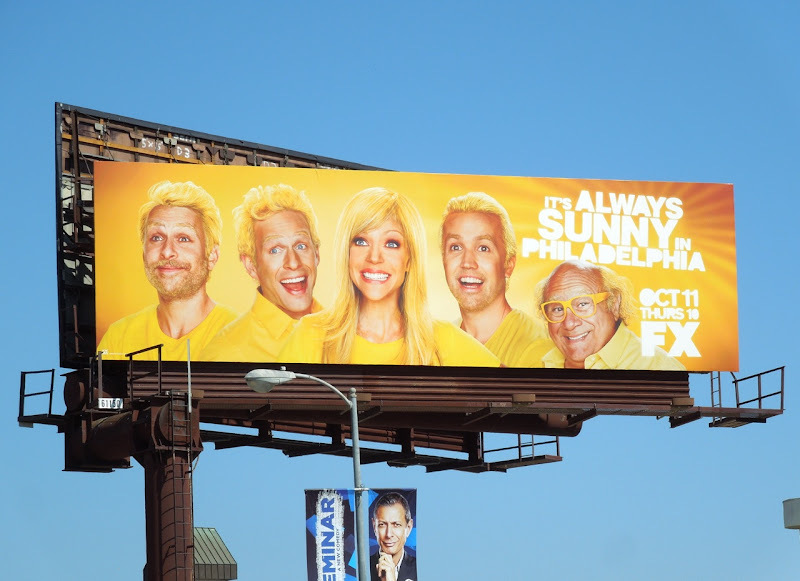 Hmm, it's awfully convenient don't you think that Danny DeVito and Rhea Perlman announced their divorce after 30 years of marriage on the eve of the eighth season of It's Always Sunny in Philadelphia. 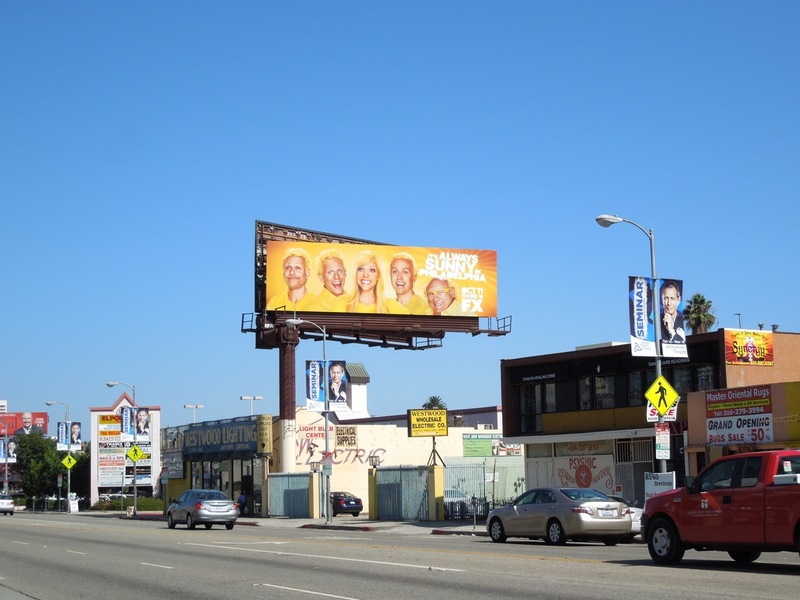 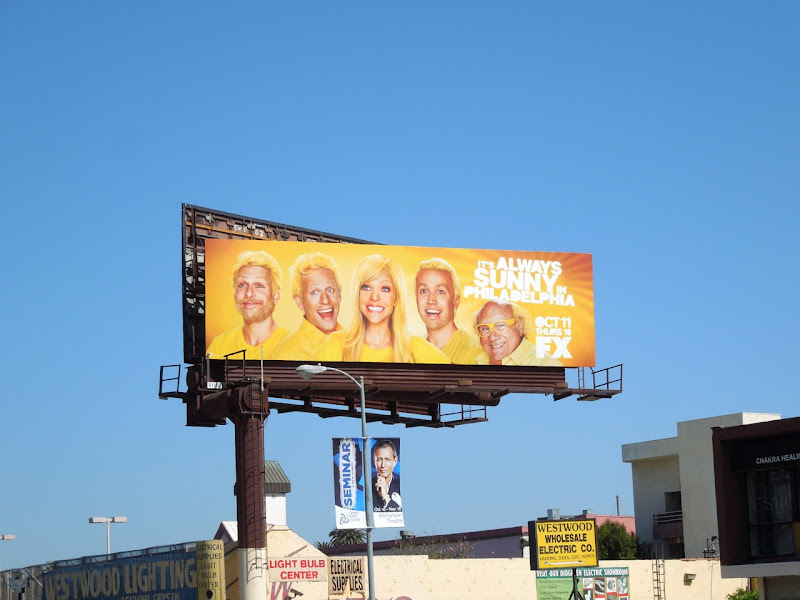 Attention grabbing stunts aside, eight seasons is an achievement in itself, but fortunately the comedy show also has this hilarious billboard to catch your eye too. 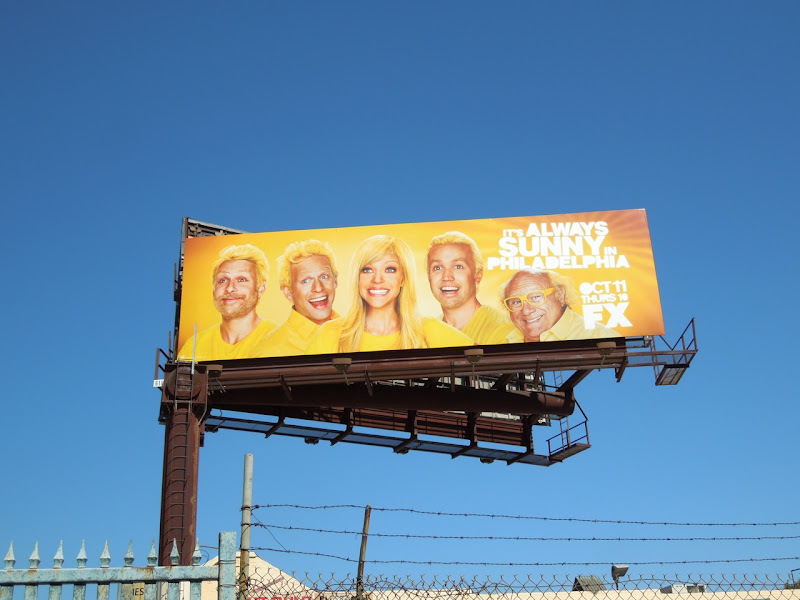 The vain and dysfunctional gang from Paddy's Pub in Philly look resplendent in yellow and were quite literally beaming in the skies over Santa Monica Boulevard on September 24, 2012. 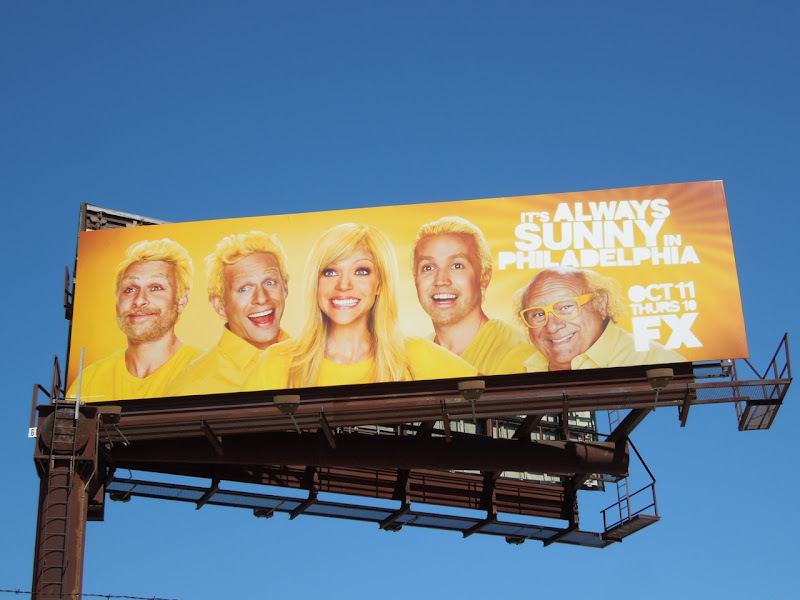 If you're a fan of the sitcom, be sure to check out the equally vibrant season six and season seven billboards for It's Always Sunny in Philadelphia.